Tune into the “Muckraker Report” on 910AM the Superstation from 11-noon on Wednesday for more on this story and other news in Detroit. Detroit Fire Captain Brett Jackson nearly lost his life Monday night after he accidentally shot himself in the groin while trying to holster his handgun on the front porch of his home on the city’s west side. Jackson, who was off duty, was profusely bleeding for about 20 minutes before police or an ambulance showed up to his home on Hartford Street near Tireman and I-96. For their own safety, paramedics staged a few blocks away and waited for police to arrive, which is standard practice at shooting scenes in the city. But both police cars called to the scene broke down en route and didn’t reach the scene until 10:09 p.m. 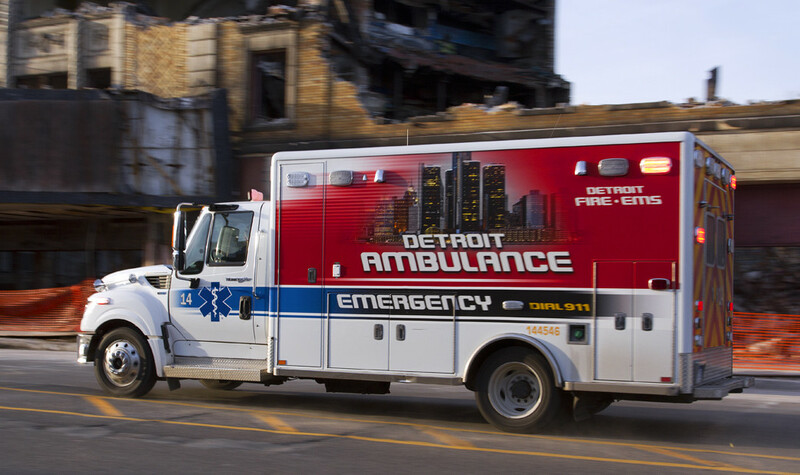 When paramedics finally loaded the 51-year-old into an ambulance, he appeared to go into cardiac arrest, city officials said. Jackson, a 29-year veteran of the fire department, underwent nearly two hours of surgery and remained in critical condition at Henry Ford Hospital on Tuesday. But fire officials said the gregarious captain appears to be improving and is expected to survive.